The Fresh Air Interview: Poet Robert Hass, On Whitman's 'Song Of Myself' Robert Hass, the former poet laureate of the United States, explores one of Walt Whitman's most iconic poems, Song of Myself — and shares his opinion about why the poem still resonates 155 years after it was written. 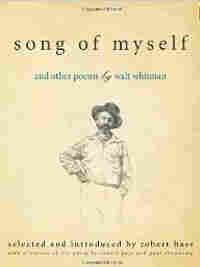 Song of Myself was included in Walt Whitman's major work, Leaves of Grass. Whitman paid for the publication of the first edition himself. Walt Whitman wrote one of his most famous poems, Song of Myself, in 1855, but according to former United States poet laureate Robert Hass, it wasn't until much later that the poem acquired the name by which it's now known. "In the first edition, it had no name and in the second, he called it 'Walt Whitman' and then I think he called it 'Poem of Walt Whitman, an American' for a while," Hass tells Terry Gross. "And it really wasn't until the end of his life that he called it by the name that all schoolchildren know it by, Song of Myself." Hass notes that Whitman made several changes to the text throughout his lifetime, altering phrases here and there to reflect different phases in his own life. For example, the last phrase in Verse 8, "I mind them or show or resonance of them -- I come and depart" was originally written as "I mind them or show or resonance of them -- I come again and again" in Whitman's first edition. "He's an older man when he's writing the last version of the poem," Hass says. "So the first version says 'I come again and again' [as if to say] 'I'm here; I'm always here.' There's another line in the poem that says 'urge and urge and urge / always the procreant urge of the world,' [indicating] the continuous presence of the sexual energy of living. And in the last version, he says 'I depart,' which means everything's coming and going. It's more Buddhist." Hass also points out that Whitman's choice to write the poem in extended free verse instead of a more traditional rhyme scheme was considered radical in the mid-18th century. Robert Hass teaches English at the University of California, Berkeley. "I think people associated free verse with ... the parts of Whitman's 'I Hear America Singing' that sound like 19th century political oratory," says Hass. "So people didn't quite know how to deal with his free verse and basically didn't for 50 years. Then in 1911-12, the young Modernist poets started to experiment with free verse, which they thought of as not an American thing coming out of Whitman but as an avant-garde technique coming out of France. ... It really wasn't until Allen Ginsberg wrote Howl that somebody took what Whitman had done and tried to do something more with it." 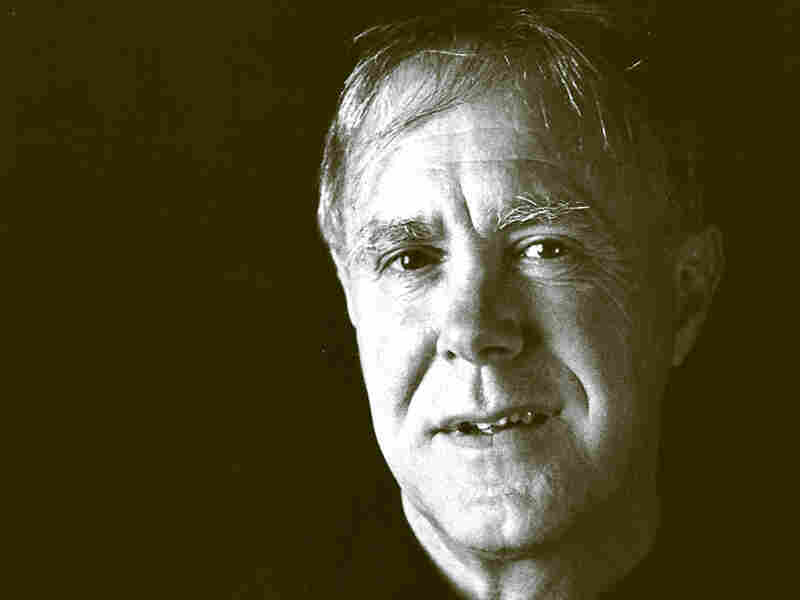 Hass received the Pulitzer Prize and the National Book Award for his collection Time and Materials. His other collections include Sun Under Wood, which received the National Book Critics Circle Award, and Human Wishes; Praise, for which he received the William Carlos Williams Award. From 1995 to 1997, he served as the poet laureate of the United States. The first edition of Leaves of Grass was published in Manhattan under the imprint of Fowler and Wells in July 1855, in an edition of eight hundred copies paid for by the author. Fowler and Wells was the successful publisher of what might be thought of as New Age books and pamphlets on subjects ranging from physiology to phrenology (the science of reading people's characters from the shapes of their heads) to the salubrious effects of ocean bathing. Walt Whitman designed the book himself and had a hand in the typesetting. It was bound in green ribbed morocco cloth with the title embossed in gold. The title page did not identify the author, but the now-famous frontispiece engraving of a bearded man in an open-collared shirt and a jauntily cocked hat did. The book contained a prose introduction and twelve poems. The first poem was long -- 1336 lines -- and untitled. 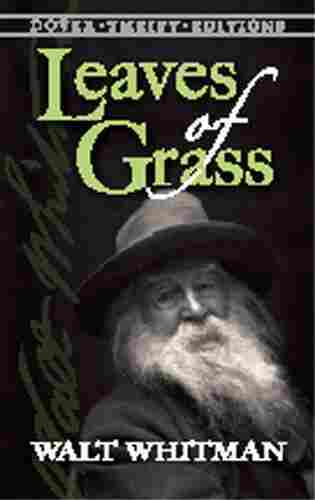 Leaves of Grass went through eight editions in Whitman's lifetime. In the second edition of 1856 the opening poem acquired a title. It was called "Poem of Walt Whitman, an American." 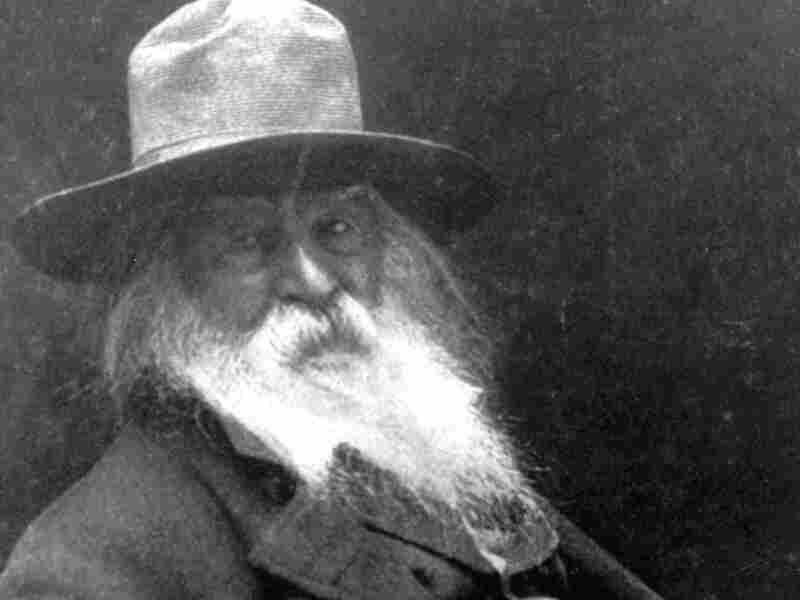 In 1860, it became "Walt Whitman," and that title remained until he renamed it once again. It became "Song of Myself" in the 1881 edition. The poem is reprinted here as it appeared in 1855 and as it appeared in the final edition of 1891–92. It was then and is now an astonishment, perhaps the most unprecedented poem in the English language. It is also an important document in the history of American culture. "Song of Myself " captures in a particular voice and at a particular moment something alive, generous, and hopeful in the developing culture of the United States, and it escaped, almost immediately, the bonds of its fervent nationalism: it became a way forward in the twentieth century for poets all over the world -- in Latin America and Russia and Portugal and China and India and North Africa. For all its fame, the poem and the years during which it came into being are something of a mystery -- one that has been studied by Whitman's many biographers. (My favorite is Paul Zweig's Walt Whitman: The Making of a Poet) Son of an alcoholic carpenter with a large and troubled family, the young Walt Whitman had only a few years of formal education. He was an office boy at eleven, a journeyman printer at fourteen, a school master in the farm country of Long Island at seventeen, and a journalist for hire at twenty-two in the booming suburb of Brooklyn, where he also became a flaneur, an appreciative stroller, of Manhattan across the river, the new urban world of the crowded and bustling nineteenth century. He churned out newspaper articles and book reviews and theater and art reviews and editorials. He wrote a very mediocre and melodramatic novella on the evils of drink. He was during those years -- as he described it -- "simmering, simmering." In 1855, from his reading -- English romantic poetry, American poetry and philosophy, German philosophy, history, popular science -- from his daydreams, from a brief stint in New Orleans as an editor and the glimpses of the country he got in his travel there and back, from his mother's Quaker heritage and his father's workingman's democratic rationalism, from the air he breathed in the streets of Brooklyn and Manhattan, their commerce and idioms, and from the flood of life he had made it his profession to observe, came this altogether unexpected poem. The most unexpected thing about the poem was its basic technique. It is one of the first extended experiments in free verse in the English language. Whitman had to figure out how to create and sustain a new kind of formal structure for poetry. He wanted music -- Galway Kinnell has remarked that Whitman's poems are so rich in vowel music it is as if they were written in Hawaiian -- and he wanted something like the feel and realistic detail that was characteristic of journalism and the novel in his day, which was for him the idiom of the vivid present. He thought the poetry of a new democratic order had to have both these qualities if it was to embody new thoughts and have in it the feel of common life in cities. And then there is the question of what sort of poem it is. No artist proceeds without some models of what she or he is either doing or trying not to do. Probably the rough models for "Song of Myself" are the remarkable set of odes written by English poets early in the century. Whitman had read them. Like his poem, they are about imagination and nature, about the human relation to these powers, and like his poem they are meditative, tend to make an argument and to take surprising turns, and to dramatize the individual's relation to the imagination as a source of creative power. So it seems very likely that he had them in mind -- or that they had become part of his own imagination of what serious poetry was about. But most of the odes are only a hundred or two hundred lines in length, and "Song of Myself " is a poem of thirteen hundred lines; it is as long as ten odes. It's interesting that the one significant revision Whitman made to the 1855 "Song" was to rid it of its ellipses, which gave the poem its tumultuous and cascading effect. He also slowed the poem down by dividing it into numbered sections, as the English poets had done. In the classical prehistory of the ode, separate sections marked changes in the music that accompanied recitation, and there is something of that in Whitman's making of the shifts in tone and attack in his poem. The movement from section to section really does give the poem the feel of a suite in the ode form as it swings back and forth from aria to teeming catalogue. Some critics have thought that he may also have found his models for both the music of the poem and its formal development in the prophetic poems of the Old Testament in the King James translation—the poems of Isaiah and Jeremiah and Ezekiel. Nearer to hand were the essays of Ralph Waldo Emerson, which Whitman was steeped in. When he said he was "simmering, simmering," he also said that it was Emerson -- probably the Essays of 1841 and 1844 -- that brought him to a boil. Emerson's essays, like the Romantic odes, have the individual's relation to nature and to imagination as their subjects, and they think about these subjects in an American context. Like "Song of Myself," the essays advance an argument without advancing the structure of an argument. They proceed by weaving together disparate thoughts, by aphorism and metaphor and repetition and sudden veerings of thought. So it is possible to say that "Song of Myself " is a Romantic ode exploded into something else by the essays of Emerson and the sweep of prophetic imagination, and then soaked in the language and imagination of nineteenth-century American journalism -- though this description would leave out the richest and most surprising thing about the poem, which is its language. The argument that "Song of Myself " makes -- that we have more in common than separates us, that that common thing is the nature that courses through us, that we and the nature of which we are a part are carried by a profoundly sexual rhythm -- "Urge and urge and urge," he would write, "always the procreant urge of the world" -- that the principle of nature is abundance and variety, that death is as much a part of its rhythm as birth and sexual desire are, that love -- which he calls the "kelson of creation" -- and sympathy -- "I am attesting sympathy," he writes -- "Shall I make my list of things in the house and skip the house that supports them?" -- are among the deepest ways that the human imagination connects people to one another and to that larger rhythm, that the body is as important as the soul, that the teeming life of Manhattan and its working people and the immensity and diversity of the American continent embody this nature, and that it is a great leveler and hence a democratic power, and it is a power bound to supersede all previous notions of divinity, and that all this is as common as the grass -- this argument is made in the ideas of the poem, in its dazzling and superabundant lists, and in its seriousness and humor and tenderness and moments of melodrama and flashes of tragedy, but also in the sheer range of its language. Whitman draws his diction from every level of written and spoken language available to him -- the speech of the streets -- "the blab of the pave," he calls it (an example of what I mean), the speech of the crafts, the languages of the professions, the vocabularies of science and technology and law and the pulpit. This poem about democracy and imagination, and what to make of life and death, and about a person's own wondering experience of his own existence makes its case for our common human imagination by deploying the abundance, variety and hilarity of the languages in which human beings have both described and invented the world in which they find themselves living. From Song of Myself: And Other Poems by Walt Whitman by Robert Hass and Paul Ebenkamp. Copyright 2010 by Robert Hass and Paul Ebenkamp. Reprinted by permission of Counterpoint. All rights reserved.